One woman's battle against the toxic legacy of the Vietnam War. Millions suffered from exposure to toxic chemicals sprayed by US forces over South Vietnam. Millions suffered from exposure to toxic chemicals sprayed by US forces during the Vietnam war. The chemicals were defoliants and herbicides designed to destroy jungles and vegetation which provided cover for communist guerrillas. But the defoliants contained dioxin, one of the most toxic chemicals known to man. The most notorious defoliant was called Agent Orange. Decades later, Vietnamese are still being affected. Witness speaks to Dr. Nguyen Thi Ngoc Phuong about her struggle against the toxic legacy of the war. 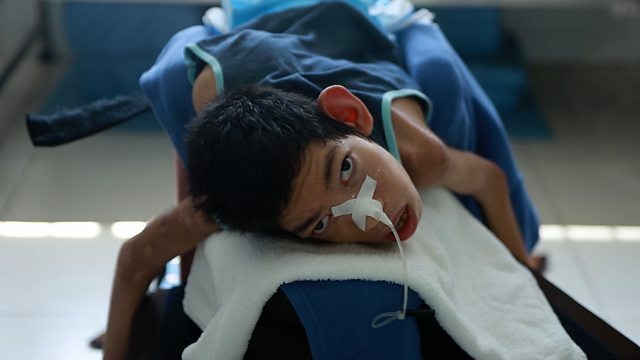 Photo: Child suffering from spinal deformity in rehabilitation centre in Saigon.